The European Spallation Source is a research infrastructure committed to the goal of building and operating the world leading facility for research using neutrons. ESS officially became a European Research Infrastructure Consortium (ERIC) in October 2015. The facility is under construction in Lund (Sweden), while the ESS Data Management and Software Centre (DMSC) will be located in Copenhagen (Denmark). 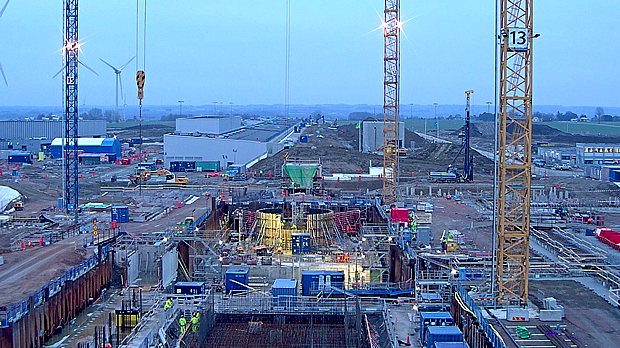 ESS construction is steadily progressing aiming for facility ready for proton beam on the target in 2020 and to start the user program with an initial instrument suite by mid 2023. The construction work package ‘Science Support Systems’ (SSS) covers the needs related to sample environment equipment, scientific laboratories as well as scientific coordination and user office. Jointly with its collaboration partners and intensively cooperating with the different instrument teams as well as other internal and external stakeholders, the Scientific Activities Division (SAD) strives to provide a coherent and up-to-date scientific service and collaborative scientific environment that makes neutron scattering more accessible, powerful and efficient to users from diverse scientific fields and to harness the full scientific potential of the ESS facility by providing well-organised user / sample workflow as well as giving room to develop new sample environment equipment as new areas of science arise. Scientific Coordination & User Office.